The story of the Acadians is a fascinating one, and has another unusual facet...no major literary work on Cajun history has been published. I have gathered information from several publications about the Cajuns, and will present a short version of Cajun history. The Acadians were mostly French colonists who came to Acadia (now known as Nova Scotia), probably as early as 1604. The records reveal that Louis Hebert, the ancestor of the large number of Heberts now living in Louisiana, arrived at Fort Royal in Nova Scotia on July 27, 1606. He was a son of a druggist to Catherine of Medici, Queen of France. Pierre Comeau, the ancestor of most of the Comeaux' in Acadiana, was born in France in 1597 and arrived in Acadia (Nova Scotia) in 1636. He was a cooper by trade, and married Marie Bayol in 1641. A census taken in Nova Scotia in 1671 revealed families of Bertrand, Blanchard, Bourg (Bourque), Brau (Breaux), Comeau, Cormier, Dupuy, Doucet, Girouard, Hebert, Landry, LeBlanc, Richard, Robichau, Terriau (Theriot), Trahan, Thibeaudeau and Vincent. The Bourg, Brau, Cormier, Dupuy, Girouard, Hebert, Landry, LeBlanc, Robicheau and Thibeaudeau families came from around Vienne in Southeast France. Later, in 1686 and 1710, we find families with the names of Dubois, Herpin, Leger, Marceaux, Mouton, Simon, Baudoin, Primeau, Duhon, Picard and Guidry at Nova Scotia. These people farmed, trapped, raised livestock and did all of the usual things associated with colonization of the New World. In spite of the hardships of colonization, they grew and prospered. But storm clouds were on the horizon for our ancestors. The clouds gathered as the bitter rivalry between the English and the French came to a boiling point. This rivalry was rooted in the desire of each nation to establish a complete trade monopoly in the New World. The result of the rivalry was a series of wars between England and France, known collectively as the Commercial Wars. The first was King Williams' War (1689-97) followed by the war of Spanish Succession (1702-13), and the final struggle, beginning in 1754 and known in American History as the French and Indian War. Since England's colonies in New England and France's colonies in Canada and Acadia (Nova Scotia) bordered each other, they became involved in these conflicts, which were deepened by great differences in language, customs and religion. Thus the stage was set for the unique tragedy of the expulsion of the Acadians from Nova Scotia. The expulsion of the Acadians from Nova Scotia (Acadia) by the British followed these series of wars between the British and French in which the British were the victors and, as the spoils of war, took possession of Nova Scotia. It is significant to note that during the French and English war, the Acadians, who were ultimately to suffer tragically as a result of the wars, remained more or less neutral throughout. During the wars, the Acadians found their homeland a battlefield between the two warring powers, and the were victims of numerous raids by both sides. They saw their houses burned, livestock slaughtered and crops laid to waste. Peace came in April, 1713, and by the treaty of Utrecht, King Louis XIV, the Magnificent Roi Soleil (rwah solay ee, meaning Sun King), sacrificed Acadia to the British. Under the treaty, the Acadians were granted the option of remaining on their land with religious freedom, or leaving Acadia and forfeiting their land. Since there was really little choice, the Acadians stayed on but for the next 40 years their times were trying. Soon after the treaty the British, who wanted the fertile Acadian land for their own settlers, began a series of persecutions of the Acadians, striking at their national origin and their religion. Some sought to leave, but learned that for the most part the option had been revoked and they were prohibited from leaving. Part of the persecutions was an insistence by the British that the Acadians take an unqualified oath of allegiance to the British Crown. Since this could involve infringement upon their practice of their religion and bearing arms against their fellow countrymen from France, the Acadians refused. After this refusal, the British began to plan the ultimate expulsion of the Acadians from Nova Scotia. In the ensuing years, the Cajuns proved their loyalty to England by refusing the join the rebellious acts against the Crown. This, however, was not enough, and the Acadians continued to live in suspense as to their future. Finally, in 1755, the expulsion was affected under the order of Lawrence, Lieutenant Governor of Acadia. On September 5, 1755, at the Acadian Settlement of Grand Pré (gron-pray), all of the Acadian men and boys over 18 years of age were assembled at the church. They numbered 411. There a Colonel Winslow told them that their lands and livestock were forfeited to the Crown and that they were to be driven out of Acadia. Some of them never saw their wives and families after this assembly. Twenty of their number were released the next day to visit the families of the 411 and tell them the sad news. After several days, they were paraded to the harbor, where they were loaded on five ships and expelled. Among the families in those first 411 were 27 Boudro (Boudreaux), 12 Commo (Comeaux), 2 Benoit, 2 Blanchard, 2 Braux (Breaux), 1 David, 2 Doucet, 1 Duon (Duhon), 13 Dupuis, 41 Hebert, 42 Landry, 56 LeBlanc, 14 Richard, 4 Sonnier, 13 Terriot (Theriot), 4 Tibodo (Thibodeaux), 16 Trahan and 2 Vincent. One of their number was a Louis Arceneaux, who was to achieve immortality as the Gabriel to Longfellow's Evangeline. This first expulsion preceded many others over a span of a decade, at the end of which most of the Acadians in Nova Scotia had been placed on other ships bounded for New England, to join the original 411. Some of the Acadians evaded capture, armed themselves and became guerrillas in the woods of Nova Scotia. But for the great bulk of the Acadians, their homeless wandering had begun and was not to end until many years later, when they established a new Acadia in Southwest Louisiana. The expulsion of the Acadians from Nova Scotia by the British was neither easy nor complete. Many of the Acadians, after British trickery resulted in the quick deportation of the first 411 Acadians, many fled to the woods and took up resistance against expulsion. The British Crown placed prices on the head of the renegade Acadians, and the British Army roamed throughout Acadia (Nova Scotia) for over seven years searching out those who had escaped deportation. Joseph Brossard (Broussard), nicknamed Beausoleil (bo-so-lay ee, meaning Pretty Sun), was one of the Acadians who escaped deportation by fleeing to the woods. There he became chief of a minor resistance force of Acadians who waged guerrilla warfare against the British. The British were unable to capture this clever Cajun and his band. After the defeat of Montcalm in Quebec, Beausoleil realized that the French cause in Canada was dead and that further resistance would be futile. He and his band surrendered to the British at Fort Cumberland on November l6, 1759; they were held as prisoners of war until peace in 1763. After his release Broussard went to the island of Santa Domingo and then worked his way to Louisiana, where he was commissioned as a captain in the militia at St. Martinville. He is the ancestor of many of the Broussards who now populate Southwest Louisiana. Other Acadians who resisted expulsion escaped to various parts of Canada and Newfoundland and the many islands off the Canadian coast. They remained there and today their descendants number over half a million. The vast majority of the Acadians, however, were put on ships bound for the English colonies, England, France, Santo Domingo and South America. The ships furnished for their transportation were inadequate and the rations furnished to them barely prevented starvation. An estimated 20% of the Acadians deported died aboard the ships and their bodies were thrown into the sea without religious services. Some of the ships were sent to Virginia, where the colonial government refused them admittance. The Acadians spent a miserable winter aboard ship; the ships eventually sailed for England but more than half aboard had died before they reached there. Members of this party made their way to France, and finally to Louisiana. In Pennsylvania the Acadians were kept on board ships for two months. In Georgia they were permitted to land but were banished; most of them made their way into the hostile interior. Our ancestors were severely mistreated in Massachusetts and the Carolinas. Everywhere in the New World the Acadians went they were mistreated, except in Maryland. Maryland was the only state to afford the wanders a welcome, due probably to the fact that the state had a large Catholic population. One of the Acadians who found solace in Maryland was Emmeline Labiche, who later made her way to St. Martinville and achieved Cajun fame as the model for Longfellow's Evangeline. Most of the dispersed Acadians did not remain in the English colonies where they were unwanted. Many made their way back to Canada and Nova Scotia, or to Louisiana. Some, however, stayed in the English colonies and changed their names, like LeBlanc to White, Brun to Brown. One of Louisiana's most distinguished citizens, Edward Douglas White, who became Chief Justice of the United States Supreme Court, reportedly descended from a family of LeBlanc's who had changed their name during the Cajun wanderings. Because they were a pitiful lot, broken-hearted, penniless, spoke a foreign language, practiced a different religion and were descendants of a people who were natural enemies of England, the Acadians were cruelly received throughout most of the English colonies. It is no wonder that these exiles, as soon as they were able to travel, sought places of refuge where the French flag still flew. Some Acadians went to France and then most of them found their way to Louisiana. Others went to Santo Domingo, Guadeloupe and Martinique from the English colonies. But because they were poor and could not afford slaves and were unable to withstand the scorching climate, the Acadians eventually decided to head for Louisiana to join their compatriots already there. The first Acadian arrivals in Louisiana landed in New Orleans in the fall of 1756...a year after their departure from Acadia. They came from Maryland, the Carolinas and Georgia. Some had traveled overland making use of the many tributaries flowing into the Mississippi River. According to Judge Voorhies, his grandmother was among those who came from Maryland. She had adopted Emmeline Labiche, the Evangeline of Longfellow's immortal poem. His grandmother also told him that Emmeline became demented when she did not eventually meet Louis in St. Martinville and found out that he had already married someone else. Mercifully, she died shortly thereafter. The bulk of the Acadian population, at the time of the dispersal, stayed in Canada or ended up in Louisiana. They were attracted there because it was French, and the French government guaranteed them food and tools for a year. The first Acadian colony in Louisiana was established on the Mississippi River 60 miles North of New Orleans, the site of present-day Donaldsonville. Some also settled along Bayou Lafourche, beginning in 1768. In 1757 the Governor of Louisiana opened up to colonization the vast prairie land of the Attakapas and Opelousas Indian country in the Southwestern corner of Louisiana. Settlements sprang up along the various bayous, such as the Teche and Vermilion. Le Yoste des Attakapas (Fort Attakapas), later to become St. Martinville, was one of the first and chief settlements of the area. Acadians began to arrive at Fort Attakapas in 1765. One of the documents which was preserved is a contract dated April 4, 1765, between Antoine Bernard and several other Cajuns, under the terms of which Bernard agreed to furnish the others with cattle to begin vacheries (vahsh--ree, or cattle raising farms). One of the parties to the contract was Joseph Broussard, nicknamed Beausoleil, about whom we have previously written. Beausoleil died on October 20 of the same year and was buried near the site of the present-day town of Broussard. 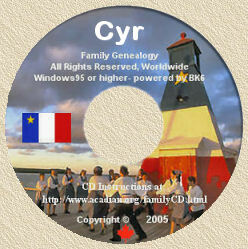 The Acadians who arrived there during that period, met Canadians and Frenchmen who were already living in this region. Some of them bore the names of Decuire, Deshotels. Fontenot, Hollier, Latiolais, Patin and Stelly. Cattle raising became the chief industry of the Acadians, but it was neither as organized nor as profitable as it is for Cajuns today. The animals were allowed to graze on the prairies without much attention. The Acadians were destined not to live under the French flag. No sooner had they arrived there and began to make their new homes when, in 1762, France ceded Louisiana to Spain. Later, Napoleon came to power in France and on November 20, 1803 he obtained, in a trade, Louisiana from Spain. He bought Louisiana, as it turned out, to sell it, and 20 days later he sold the Louisiana territory to the United States for $25 million dollars... the biggest real estate transaction in history. Thus the Acadians, as well as others living in Louisiana, passed from the Spanish government to the French government to the American government.